Where do halos come from? Some people who are freed from glasses with laser surgery experience halos in the dark that are described as a circle of light around lights. 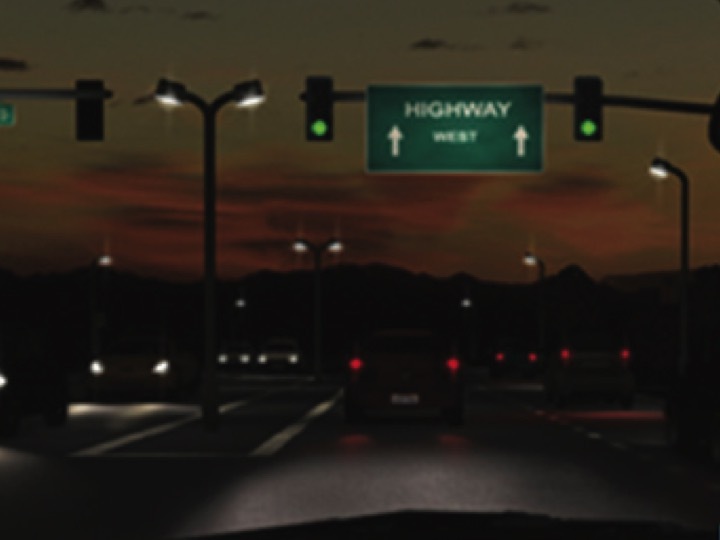 Street lights and car headlights are surrounded by circles of light that can interfere with the normal operation of the car. In most cases, the perception of circles of light or rays of light either decreases or disappears completely over time. The cause of halos in most cases is either eye pupils that are too wide, dryness of the surface of the eye or corneal oedema. About half of the people that undergo laser surgery have relatively wide pupils (> 6.5 mm). Halos are seen if the pupils dilate larger than the region changed by laser surgery in darkness or low-light conditions. Compatibility studies measure the sizes of pupils and assess whether the corneal thickness and the size of the required adjustment will allow changing a sufficiently large area of the cornea. In general, we can say that the wider the pupil and the larger the minus, the greater the possibility for halos. While driving it could be of benefit to turn on moderate lighting or use eye drops to narrow the pupil. With larger minuses halos may also occur in eyes that have not undergone surgery. After surgery, everyone develops corneal oedema regardless of the extent of the correction or age. The receding of the oedema will take up to 3 months, and usually the halos decrease or are perceptible to a small extent after this time. If, however, the halos persist and are disruptive to daily activities, then there is reason to examine their optical causes and consider possible therapeutic measures. One possible reason is that the procedure did not achieve a full correction of near or far-sightedness and/or due to astigmatism the eye’s ability to focus is still not perfect. A repeat procedure or the use of glasses in the dark may be helpful. Scattering road sign luminescence or light sources may be due to dryness of the eye or deficiency in the tear film. The tear film corrects the physiological unevenness of the surface of the eye and if it is insufficient, the quality of vision deteriorates. In the first few months after the laser procedure, unevenness in the tear film is quite ordinary. Why is it that compared with earlier methods the probability of the occurrence of haloes is decreased with the ReLEx Smile procedure? First of all, the ReLEx Smile surgery preserves more of the sensory nerves on the surface of the eye and therefore significantly fewer dry eye symptoms occur than with previous methods. The difference is especially perceptible in the first few months after the procedure. Secondly, the part that is outside of the optical zone changes less in the SMILE procedure than with the touchless (ASA) or (femto) LASIK procedure. The cornea is composed of layers, which all keep the shape of the cornea as separate belts. Excimer laser smoothing penetrates the superficial layers and these become loose and cause corneal thickening outside of the optical zone. 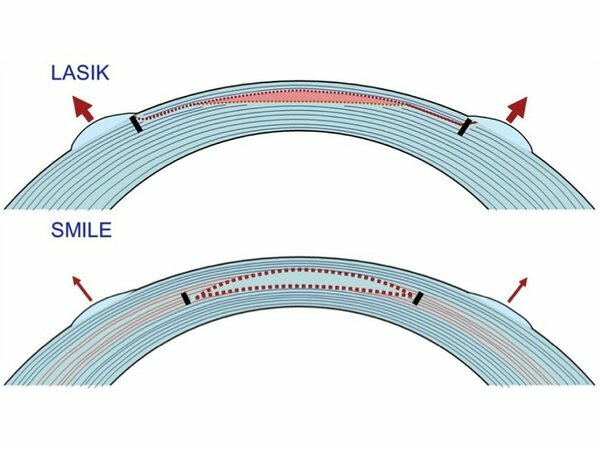 Also, the SMILE method, which uses only the femto laser, causes the fibres outside of the optical zone to become loose, but because the anterior layers of the cornea will retain tension, the probability of the region that is outside of the optical zone thickening is lower as is the possibility of haloes. Thirdly, with the SMILE technology, the optical zone to be made up to 8 mm in width; most touchless (ASA) and (femto) LASIK method excimer lasers are limited to 7 mm.